I first went to China to look at their health system back in 1978. The Gang of Four led by Madame Mao had just been deposed and a diminutive 74 year-old had started to gain a hold on the reins of power. The 'industrial revolution' started by Deng Xiao Ping that year caused reverberations around the world and, in 35 years, the People’s Republic of China has risen to become the second largest economy in the world and will soon overtake the mighty USA. So when I visited Beijing, Shanghai, Hangzhou and Ningbo recently, I expected to see big changes in the health system. Gone are the barefoot doctors traditionally associated with village life and Mao’s cultural revolution. Many new secondary and tertiary hospitals have been built with equipment both from the Chinese mainland but also from international suppliers. Western drugs are commonplace but Traditional Chinese Medicine (TCM) has not been abolished; rather, the Western and TCM systems have learned to rub alongside each other. 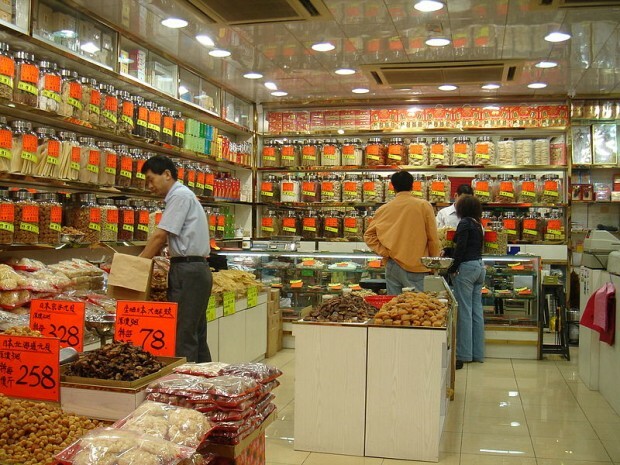 Even newly-built hospitals have Western-style pharmacies adjacent to TCM stores which provide all kinds of weird and wonderful plants and potions. So I saw some big changes and some things which haven’t changed much at all. However, I learned that 90% of health encounters between patients and healthcare professionals in urban areas now take place in hospitals whereas in the UK, 95% of all healthcare transactions are delivered in a primary care setting. The burgeoning middle classes in China intuitively believe that hospitals provide the best care and that primary care physicians are unable to meet their needs. The concept of a family doctor for every citizen who acts as the first point of contact for all health needs is not widely appreciated in China and there is no gatekeeper role preventing the expensive secondary hospitals being overrun. China knows it needs more doctors and is planning to train another 300,000 in the next five years. It also aspires to universal health coverage by 2020, something which citizens of the UK have enjoyed since 1948. Providing healthcare free at the point of need for 1.5 billion people within 7 short years is an enormous challenge but one which the newly-appointed leadership is approaching very seriously. The UK’s experience with family doctors, multi-disciplinary primary healthcare teams, and a well-developed patient referral process, is something the Chinese believe could offer valuable lessons for China. Hence the forthcoming high-level visit to the UK by senior health officials from Zhejiang Province (population 54 million) on the Eastern seaboard of China, which Healthcare UK is hosting in April. This will be followed by a high-level UK delegation visit to Beijing and Zhejiang led by Cabinet Minister Ken Clarke to seek further ways of collaboration between UK healthcare organisations and Chinese policy-makers healthcare providers. China offers enormous opportunities for innovative UK companies and organisations to provide healthcare services and products into what will soon be the largest economy in the world. I probably won't be around in 35 years time but based on the progress of the past five years, I expect China will have long overtaken the UK in many different industries. At least with healthcare, we have something to offer that will help lay the foundations of a system China can be proud of. I work in Healthcare UK so can only echo what Howard says in his post. I visited Beijing last week (22-24 April) in the margins of the UK/China People 2 People dialogue led by DH SOS Jeremy Hunt. It was brilliant being back in the People’s Republic (of China). I was posted to Beijing 2002-2005 and China gets under your skin. It’s great to be involved again, representing Healthcare UK and leading in UKTI's highest profile and the UK’s most important emerging market. What have I missed? The constant demand from companies, the unreasonable deadlines from HQ, the stream of Ministerial visits, the generous budgets to fund activity (we usually delivered VFM), the mammoth task of understanding the Chinese style of doing business? Yes, all of that, absolutely. But the memories are also personal: my son was born in a Beijing hospital; we lived through the SARS outbreak with Beijing being on lock down for months; exploring the city by bicycle;but mostly the people, the generous, inquisitive and industrious Beijing people. My first experience of a Chinese hospital was during Week 1 of my posting when I was dispatched by the Embassy for a health check, a pre-requisite to secure a driving license. Hearing, sight, blood pressure and other basic checks were necessary. I found the location of my first appointment. The doctor opened his door, turned, and on his way back to his desk rather grumpily asked if I was there for a hearing test? I responded that I was, in an instant the doctor turned smiled and said I had passed!! His mumbling question and my appropriate response was all the evidence required to sign me off. I went on to visit four other doctors during the morning. Looking back, and wearing Healthcare UK goggles, I think that experience is evidence that we can share considerable expertise with China on their Healthcare Reform Agenda. We can help China improve efficiencies in a system that is struggling because of increasing demand from a huge, growing and rapidly ageing population. While hospitals in China remain the primary location for treating patients in China, in the UK we have learnt that hospitals are not the most efficient or cheapest place to initially engage with those requiring treatment or advice. The Chinese are open about their admiration of the UK’s GP system of primary care and we are keen to introduce organisations that can help develop a version suitable to meet their needs. In January 2014 Ken Clarke, MP and Trade Envoy led the largest ever UK Healthcare Mission to China. Mr Clarke visited five cities in 5 days. We traversed China by train at speeds of up to 350km/hr. We travelled on some of the 10,000kms of new track laid since I left China in 2005. It was noted by all that there were also things that the Chinese could teach us!